Southern states offer some of the top workforce development programs in the country. Many of the programs provide workers for the automakers and parts manufacturers who are investing billions in operations throughout the region. Programs vary, but all are geared to help companies fill jobs with skilled workers. 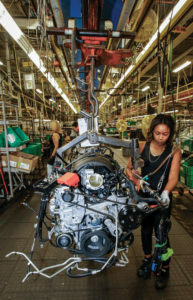 This report looks at some of the many workforce development programs operating in states served by Southern Automotive Alliance magazine. Alabama is No. 5 in the nation for annual vehicle production. Close to 1 million cars and light trucks were produced in 2018. Motor vehicle manufacturing provides 13,600 jobs in the state, and parts manufacturing another 25,800 jobs, according to the Alabama Department of Labor. Vehicle manufacturers with assembly plants in Alabama are Autocar, Honda, Hyundai, Mercedes-Benz, New Flyer and Toyota. More than 200 Tier 1 and Tier 2 automotive suppliers make up the state’s robust supply chain. In November 2018, Mazda and Toyota broke ground in Huntsville on a $1.6 billion joint-venture plant. Mazda Toyota Manufacturing USA Inc. is expected to create 4,000 jobs and have the capacity to build 300,000 vehicles annually, beginning in 2021. Toyota already operates an engine plant in Huntsville that employs 1,400. Alabama’s myriad workforce development programs are often tasked with training workers for the automotive sector. Programs and services include, but are not limited to, those provided through the Alabama Department of Commerce, which also recruits new business to the state and distributes federal dollars; the Alabama Department of Labor, which operates 50 careers centers; and the Alabama Community College System, which provides many hands-on workforce development training programs. Most programs are federally funded. Employers who go through a career center to find workers have access to numerous services. Employers who participate in the centers’ on-the-job training programs can receive up to a 75 percent wage reimbursement for an approved period, and employees can earn while they learn. Washington says the state’s programs are successful due to Governor Kay Ivey’s strong commitment to workforce development and collaboration among departments. “We have a great team. They are passionate about making sure our resources get to the people who need them most.” Washington says. AIDT (sometimes called Alabama Industrial Development Training) is an independent workforce development agency under the supervision and oversight of the Alabama Secretary of Commerce. The program encourages economic development through job-specific training. Services are offered throughout the state at no cost to either new or expanding businesses. Hands-on programs often are provided through the Alabama Community College System. The Alabama Robotics Technology Park, for example, is a collaboration between the state of Alabama, Calhoun Community College, AIDT, and robotics industry leaders across the nation. Trainees include working residents who want to advance in their trades; students in high school and technical college who have shown an interest in the construction or manufacturing trades, and unemployed residents who want to complete training and go directly to work. Employment figures released in January 2019 show Alabama’s unemployment rate at 3.8 percent, and more than 50,000 people were working than at the same time a year ago. Alabama ended 2018 at 3.7 percent unemployment, an all-time low. “Economists predicted we would gain 27,000 jobs in 2018, and we ended up with a gain of 45,000 jobs. In manufacturing alone, there was a gain of 11,000 jobs,” Washington says. Earnings also are up. The average weekly earnings for Alabamians in 2018 was $857.77, representing the highest average in the state’s history. Washington notes there still were 80,000 unemployed at the end 2018. “I have to think there was a percentage of those looking for work who did not have the training employers were looking for. We must continue our efforts to inform job seekers that there are training programs to meet the opportunities the (Alabama) department of commerce is recruiting into our state,” Washington says. Business continues to head to Alabama. In March, South-Korean based Yongsan announced it will invest more than $5.5 million to open Yongsan Automotive USA in Opelika. The plant will supply interior parts for Hyundai Motor Manufacturing of Alabama. Yongsan expects to employ 150 workers after three years. Numerous training and support programs provided through state agencies and educational institutions, coupled with the state’s willingness to work with businesses, continue to attract automakers and parts suppliers to Georgia, says Mark Butler, Georgia Commissioner of Labor. Kia’s decision in 2006 to open a production facility in West Point, about 80 miles southwest of Atlanta, is credited with kickstarting the state’s strong auto industry. Kia alone has helped create more than 14,000 jobs and produced 2.6 million vehicles. The company’s facility represents a $1.1 billion investment. “The auto industry has definitely been good for the state’s economy. Everything followed Kia. And it’s not just the building of cars. People often don’t realize all the thousands of jobs that follow that. You’re going to have other suppliers that want to be very close, whether it is batteries, or tires, or steering components, or any kind of custom work. And there are thousands of jobs connected to businesses that supply services to those plants,” the commissioner says. The state’s Quick Start program, which is part of the Technical College System of Georgia, worked with Kia Manufacturing Georgia to set up a temporary training center for workers. Today, a permanent training center near the plant that is jointly operated by the program and automaker offers training in robotics and welding, and has electronics labs, classrooms, and equipment for training on programmable logic controllers. For the sixth consecutive year, Site Selection magazine has ranked Georgia as the No. 1 state in the nation for business climate. Workforce skills are, for the third year in a row, the most important criteria to site selectors, according to a survey published with the rankings. “What you get here in Georgia are great partnerships between the public and private sector. We understand what companies are looking for, and where. They are looking for talent and a partnership. We provide that, and customize training to their needs, Butler says. Companies continue to move to Georgia. In late 2018, SK Innovation, a Korea-based developer and manufacturer of lithium-ion batteries for hybrid electric vehicles, announced it will invest $1.67 billion in a new manufacturing plant, and create more than 2,000 jobs, in Jackson County, about 60 miles northeast of Atlanta. Georgia Quick Start is part of the Economic Development division of the Technical College System of Georgia. It provides free services to companies moving to the state; existing companies expanding in Georgia, and Georgia companies that are adding new technology to maintain, or gain, a competitive edge. The program is credited with helping a million people raise their skill levels. Quick Start has almost 50 years of experience in automotive-related advanced manufacturing. Training is offered for employees who work with metals and machinery, welding, plastics, composites, or robotics. In addition to Kia, the program has worked with other large auto sector companies, including Toyo Tire North America Manufacturing Inc., which moved to Bartow County, Georgia, in 2006. In November 2018, the company announced a $138 million expansion, and the creation of more than 150 jobs — raising its total number of Georgia employees to approximately 2,100. Don Bunn, president of Toyo Tire North America Manufacturing Inc., applauded Georgia in a statement when he announced the company’s expansion plans. WorkSource Georgia, launched in 2016, is a federally-funded employment and training system. The program is managed by the Georgia Department of Economic Development Workforce Division. It aims to connect talent with opportunity. The Workforce Division provides Workforce Innovation & Opportunity Act (WIOA) funds and technical assistance to 19 Workforce Development locations across the state. WIOA funds are allotted to dislocated workers, low-income adults and youth and administered specifically through services geared toward helping disadvantaged citizens obtain meaningful employment. The auto industry is a pillar of Kentucky’s economy, with a dramatic impact in terms of job creation and investment. Automotive investment in the state continues to grow, backed by business-climate improvement measures — including passage of right-to-work legislation, location advantages and existing-industry momentum. State leaders expect to see additional investment continue in the coming years. 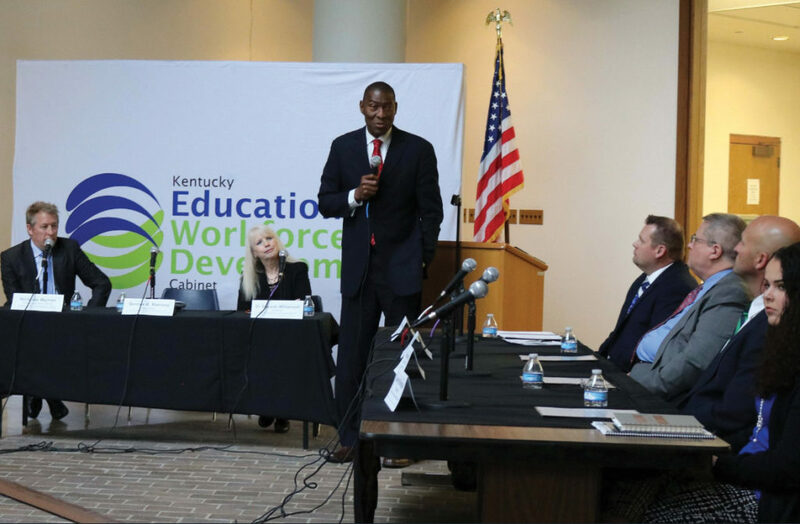 Providing employers with a highly skilled, highly qualified workforce is essential for Kentucky’s economic growth, says Derrick Ramsey, Cabinet Secretary, Kentucky Education and Workforce Development. “Bridging education and training with workforce demand is how Kentucky prepares our citizens for current and future workforce demands. Through collaboration with workforce partners, Kentucky has seized the opportunity to leverage public and private partnerships to create a workforce system that consists of education and employer-driven training as key components. By aligning the state’s workforce and educational resources, we are ensuring Kentuckians have the skills and training necessary to meet industry demand,” Ramsey says. Ford, Toyota and GM all play a significant role in Kentucky’s automotive landscape. Since 2009, the state’s OEMs (two Ford plants and one each for Toyota and GM) have announced nearly $6.4 billion in investments, which more than doubled the state’s vehicle output. Kentucky’s 520-plus automotive facilities — including four auto-assembly plants — employ nearly 101,000 people. $281 million-plus in new automotive industry investment announced in 2018 and 1,600 new full-time jobs. Kentucky ranked No. 1 nationally in production of passenger vehicles per capita in 2017 and overall third-largest producer of passenger cars and trucks. 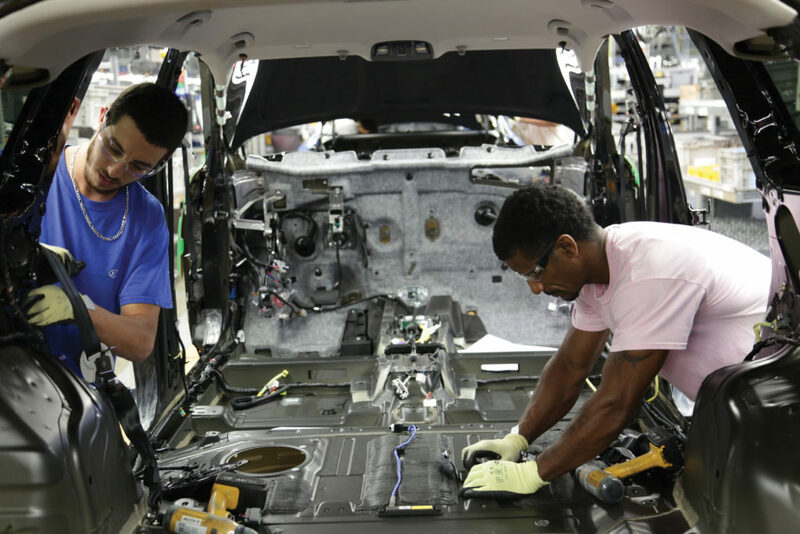 Business Facilities magazine ranked Kentucky 5th for Automotive Manufacturing Strength on its Annual State Rankings list in 2018. Two-thirds of Kentucky’s counties have at least one auto-related employer. Kentucky exported nearly $5.92 billion in new vehicles, automotive parts, bodies, and trailers in 2017. Since its first vehicle rolled off the line in 1988, Toyota Manufacturers Kentucky has produced more than 11 million vehicles. Kentucky’s Registered Apprenticeship (RA) program is focused on combining education and on-the-job training. Registered Apprenticeship allows companies the opportunity to implement a career pathway to create a pipeline for developing highly skilled workers. The model relies on a collaboration among Kentucky businesses and educational institutions to train the workforce of the future. Nearly $1.1 million in federal funding has been designated to help establish and grow intermediaries to connect Kentuckians with employment and training through apprenticeship opportunities. This flexible, employer-driven approach to training and job-based learning has benefited more than 3,576 apprentices in 261 programs in Kentucky. Kentucky has invested $100 million through the Work Ready Skills Initiative (WRSI) to help build the state’s workforce by expanding career and technical facilities and upgrading equipment through local partnerships between private industry and educational institutions. The program aims at building a highly trained, modernized workforce to directly meet the needs of employers and promote sustainable incomes for Kentuckians. Kentucky is committed to increasing its workforce participation rate by expanding the skilled, competitive workforce necessary to attract new businesses to the state. Through Work Ready Scholarship (WRS), Kentucky is helping students and adults with education opportunities by providing tuition assistance towards career certifications or associate degrees in high demand job sectors. WRS eliminates the financial barrier that often prohibits individuals from seeking education opportunities by providing a pathway for accessing training and education through over 350 programs — tuition free. The scholarship is available at 16 colleges as well as more than 70 career and technical campuses across the Commonwealth. In partnership with the Kentucky Chamber of Commerce, Talent Pipeline Management is an interactive tool designed to help employers identify current and future workforce demand in a real time fashion. The automotive industry has an annual economic impact of more than $27 billion in The Palmetto State. South Carolina is the No. 1 exporter of completed passenger vehicles and of tires. And more than 61,000 people work in the automotive industry. In 1994, the first BMW produced in North America — a 318i — rolled off an assembly line in Spartanburg County, South Carolina. Over 25 years, BMW has invested $7 billion in its South Carolina operations, according to the South Carolina Department of Commerce. BMW’s success has attracted other auto manufacturers. In 2015, when Volvo broke ground in South Carolina on its first manufacturing plant in the western hemisphere, the company cited the state’s infrastructure, easy access to international ports, attractive investment environment and a well-trained labor force. South Carolina has 12 Regional Workforce Advisors that bridge the business and education communities. The advisors help businesses partner with schools to train workers for industries and arrange apprenticeships and job-shadowing opportunities. This program is operated by the South Carolina Technical College System to train workers, creating a curriculum to fit a company’s specific needs. The program served 88 companies and trained 5,070 people in fiscal 2017-2018, the last period for which numbers were available. Read more about this program in the Workforce Development education section on page 68 and online. The Mississippi Development Authority is the state’s lead economic and community development agency, with approximately 300 employees who provide services to businesses, communities and workers. The agency works to recruit new business to the state, and to retain and expand existing industry and business. Mississippi is home to major auto manufacturers, including Nissan (Canton), Toyota (Blue Springs) and PACCAR (Columbus). Overall, the state has almost 200 automotive suppliers that employ approximately 26,000 workers. Continental Tire is set to open late this year in Clinton, Mississippi. Total investment for the Continental site is $1.45 billion. When the plant officially starts production in 2020, approximately 400 employees will be hired, the company says. Approximately 2,500 jobs will be created by 2028., it adds. In November, company and state officials celebrated the opening of a new workforce training center at the Continental site. Continental has entered into a partnership with Hinds Community College to support recruitment and training. Numerous training opportunities are available through the development authority and other Mississippi agencies and departments. Programs include: Mississippi Works, which connects employees with employers. The program’s goal is to provide Mississippians with great jobs, and businesses with talented workers. Job centers will help businesses to find employees through traditional recruitment activities, an online recruiting/application process and job fairs. The job center program provides on-the-job training, which helps offset training costs. Businesses may qualify for reimbursement of up to half of a new employee’s wages during training. The state’s community college and universities also offer numerous workforce development opportunities. Almost 40,000 people in Texas work in vehicle and parts manufacturing, which lands the state in the top 10 in the country for number of jobs in the auto manufacturing sector. Major automakers in the Lone Star State include Toyota and General Motors. In late 2018, Area Development magazine rated Texas as the No. 2 state in the nation to do business (behind only Georgia). The magazine applauded The Lone Star State’s workforce development efforts, and low cost to do business. In July 2018, CNBC ranked the state No. 1 for business. Texas’ workforce development programs were ranked No. 7 in the country by the network. The Skills Development Fund is Texas’ premier job-training program, providing training opportunities for Texas businesses and workers. The program relies on collaboration among businesses, public community and technical colleges, workforce development boards and economic development partners. The program assists businesses and trade unions by financing the design and implementation of customized job-training projects. The fund merges business needs and local customized training opportunities into a winning formula to increase the skills levels and wages of the Texas workforce, the state’s workforce commission says. Workforce Development Boards and Economic Development Corporations (EDC). The Texas Workforce Commission has dedicated $1 million to support collaborations between (EDCs) to provide high-demand occupational job training in local workforce areas. Funds will be available through Aug. 30, 2019. The Texas program is intended to support boards in partnering with local economic development corporations that use their local economic development sales taxes for high-demand job training. The state also offers an apprenticeship training program and internships for job seekers. Tennessee is home to 900 auto suppliers and more than 135,000 residents are employed in the automotive industry. Tennessee has been Business Facilities magazine’s top state in automotive manufacturing strength for five of the last eight years, due in large part to the state’s highly trained workforce. Tennessee’s automotive manufacturing cluster includes three major assembly plants and automotive operations in 88 of the state’s 95 counties. Nissan’s North American headquarters is in Franklin. Its plant in Smyrna is the most productive in North America, according to the Tennessee Department of Economic & Community Development. 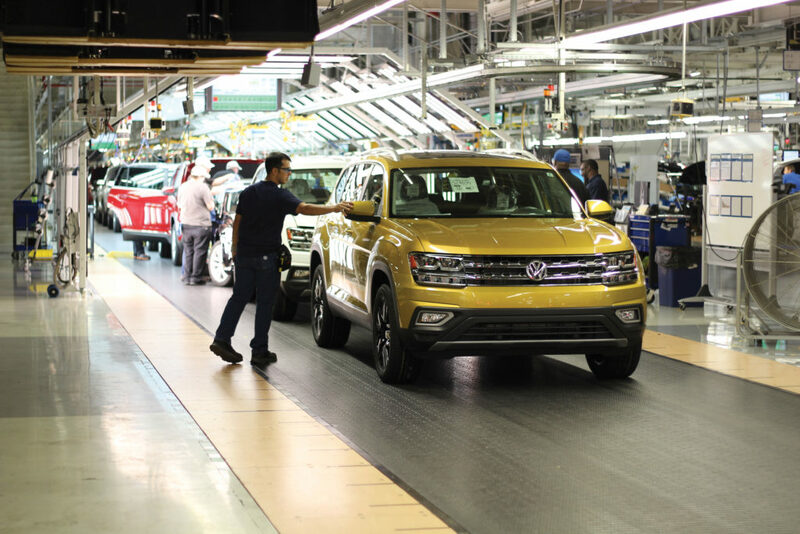 With General Motors in Spring Hill and Volkswagen in Chattanooga, Tennessee continues to invest in training for the state’s high concentration of automotive employment, the department says. 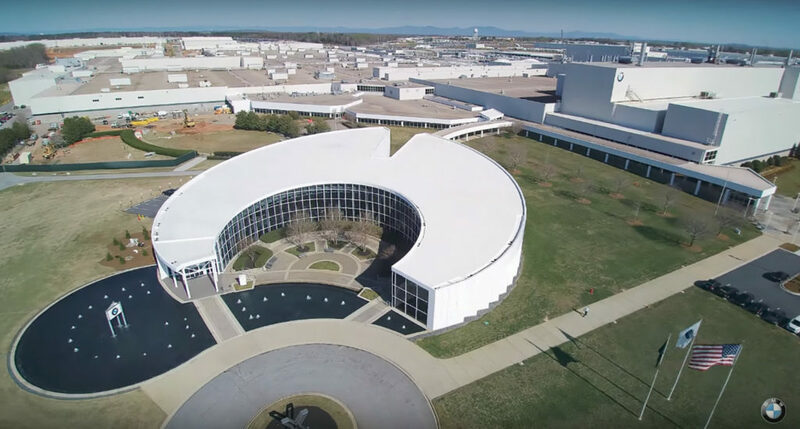 Automotive-related manufacturers in Tennessee include Hankook Tire, Bridgestone Americas, Calsonic Kansei, Magnetti Marelli, SL Tennessee, Denso Manufacturing, Yorozu Automotive, JTEKT, Mahle, and M-Tek, the department notes. Tennessee has created workforce partnerships to train workers in high-demand skills, resulting in a steady pipeline of qualified candidates, the state economic department adds. Southern Automotive Alliance is a voice for the fastest growing automotive industry in North America. We report on the latest developments in production and business decisions affecting members of some of the leading statewide automotive manufacturing associations in the South. © Copyright 2019 PMT Publishing. All Rights Reserved.